Our standard opening hours are: Monday – Friday 8am to 5pm, Wednesday 8am to 8pm, first Saturday of the month 9am to 12.30pm. In a non-emergency, call 101. Alternatively, call the Women’s Aid 24-hour helpline: 0808 2000 247. In an emergency, call 999. At PDAS, we provide practical, non-judgemental support, advice and protection for all victims of domestic abuse. 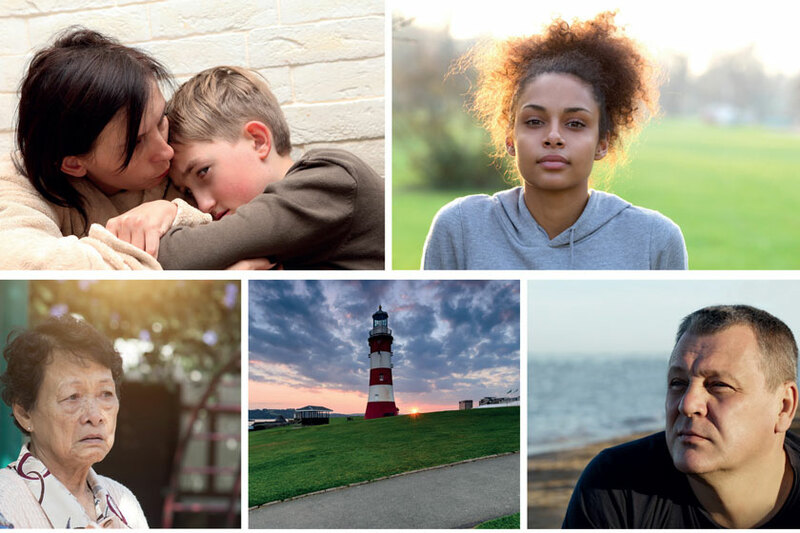 We offer a wide range of help to individuals and families in the Plymouth area, including confidential advice, one-to-one and group support sessions, and a refuge. You have the right to feel safe. Domestic abuse is any incident or pattern of incidents of controlling, coercive, or threatening behaviour, violence or abuse between those aged 16 or over, who are, or have been, intimate partners or family members, regardless of gender or sexuality. Abuse can include, but is not limited to: psychological, physical, sexual, financial and emotional. The purple EXIT SITE button will quickly take you away from this page and to the BBC News homepage – but you will need to delete your browsing history afterwards. Whether you are in the process of leaving a relationship, wish to stay or have left, we can help. We can provide office or community-based support, whichever is most appropriate. You can take part in regular one-to-one and group support sessions, which take place in a safe, non-judgemental environment where you can talk in confidence about your feelings and concerns. We also have a refuge where you can feel safe. For more details, download the PDAS information leaflet (PDF 735KB). Alternatively if you have any questions about the support we provide, please contact us directly. View Anne's story to see how PDAS was able to help her escape domestic violence. To apply, please complete the confidential enquiry form below, or call 0800 458 2558 (Freephone). You can also visit our office address. Domestic abuse will impact on the lives of 1 in 4 women, and 1 in 5 men. On average 750,000 children every year experience some form of domestic abuse. Listen to our local service manager, Katy Fisher, who talks to us about our domestic abuse services in Plymouth.